the all-court player. The traditional serve and volleyer and the stereotypical counterpuncher are no longer preferred playing styles on either the men’s or women’s tours. However, tennis players at other levels can be seen playing each of these different styles. about the authors : E. Paul Roetert, PhD, is the Chief Executive Officer of the American Alliance for Health, Physical Education, Recreation and Dance (AAHPERD), where he is responsible for promoting leadership, research, education, and best practices in the professions that support creative, healthy, and active lifestyles. Prior to this position, Roetert was the Managing Director of the United States Tennis Association’s (USTA’s) Player Development Program and Tournament Director of the U.S. Open Junior Tennis Championships from 2002 to 2009. He has also served as the Executive Director of the American Sport Education Program (ASEP) and as the Administrator of Sport Science for the USTA, where he developed the sport science program. Mark has published and presented tennis-specific research in numerous top scientific journals and at national and international conferences. 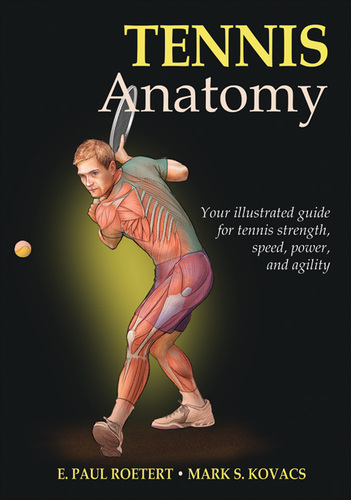 He is an author of the tennis conditioning text Tennis Training: Enhancing On-Court Performance and is currently the Assistant Editor-in-Chief of the Strength and Conditioning Journal. Mark is also still actively working as a strength and conditioning specialist training elite professional tennis players, including athletes who have participated in all of the Grand Slam tournaments.